When people ask which drug causes the most deaths, legal drugs are not usually what they have in mind. The fact is, however, that the drug responsible for the most deaths is one that is available in almost any store in the nation. Tobacco is the cause of nearly half a million deaths each year. In 2013 alone, 480,000 deaths were attributed to tobacco use. For the sake of comparison, that is the population of a city the size of Sacramento, CA. During that same period, alcohol was the cause of 26,654 deaths. Clearly, in terms of sheer numbers, tobacco is the number one deadliest drug when it comes to mortality. Prescriptions given by doctors would normally be considered safe and would not be what a person is thinking of when they wonder what drug causes the most deaths. It may come as a surprise, therefore, that prescription painkillers, most of which are opioids, were responsible for 16,235 deaths in 2013. In the year 2015, almost 100 US citizens died every day due to an overdose of opioids. On any given day, about 1000 people need emergency room treatment due to the misuse of prescription opioids. With so many people having prescriptions for opioids, it isn’t surprising that more people die as a result of misusing their prescription of an opioid than from the use of heroin. In the last 10 years, the number of prescription opioids sold has increased four-fold. One reason that prescription drugs cause many deaths is the highly addictive nature of opioids. Nearly 40% of overdose deaths involve opioids. Oxycontin and Hydrocodone both carry the risk of death when they are abused. Fentanyl, however is growing in popularity and is responsible for a growing percentage of deaths involving opioids. Considering the strength of these drugs, the risk of overdose is obvious. Also very dangerous is the use of opioids in combination with benzodiazepines. More than a quarter of opioid overdoses resulting in death also involve the concurrent use of benzodiazepines. 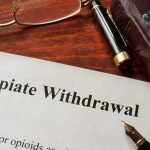 The number of people using both opioids and benzodiazepines at the same time rose from 9% to 17% between 2001 and 2013. Opioids also play a role in overdose deaths. About 24,000 US citizens died from an accidental drug overdose during 2006. In many of these cases, a significant part of the problem is mixing drugs. Taking opioids while also drinking alcohol is a recipe for disaster, especially since both drugs are sedatives. People between the ages of 25 and 54 years old are most likely to die from an overdose, and men are more likely to die from a prescription drug overdose than women. So, setting aside legal drugs and prescription drugs, what other drug causes the most deaths? Cocaine might be a good guess. Cocaine is a powerful stimulant, meaning that it increases the user’s metabolism. Increases in heart rate, blood pressure, and even body temperature can occur as a result of using cocaine. Cocaine use results in death when use results in cardiac arrest or seizures. Mixing cocaine with alcohol increases the risk of overdose. The number of overdose deaths due to cocaine peaked in 2006 at nearly 8,000 and fell during the next four years. Since 2012 the number has been increasing again. Heroin, an illegal opioid, was responsible for 8,257 deaths in 2015. Between 2002 and 2012, the number of people who met the diagnostic criteria for heroin abuse more than doubled from 214,000 to 467,000. Perhaps the illegal drug that causes the most deaths is meth. A lethal dose of meth depends upon the user’s sensitivity to the drug and upon the state of their liver. A dose that is toxic for one person may be safe for somebody else. Another problem with meth is that there are no immediate signs of an overdose. Death occurs when there is a rapid physiological deterioration which can quickly lead to heart attack or stroke. What drug causes the most deaths? The drugs most likely to cause death, nicotine and alcohol, are easily available to anybody over the age of 18 in the US. The abuse of prescription drugs is serious and getting worse. Illegal drugs, such as heroin, meth, and cocaine also pose very serious risks. Not to be forgotten is the use of alcohol concurrently with other drugs, which greatly increases the risk of overdose and death. Is The Addict or The Addiction In Control?